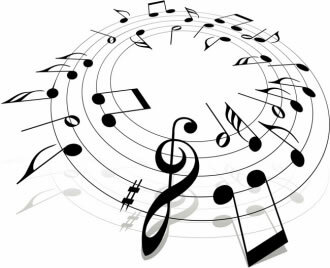 Microsoft is expected to preview their new music service during E3 2012. Sources familiar with the company’s plans say the Zune replacement will be a cross-platform service that works on browsers in Android, iOS, Windows 8 and on the Xbox 360. Codename Woodstock, the service will allow users to share tracks and create group playlists alongside heavy integration with Facebook. There could also be a “scan and match” function similar to iTunes Match that would let users scan their existing music library and match it with higher quality offerings. The service will likely be a direct competitor to Spotify and since tracks will be playable in a browser without any special plug-ins, it could be more versatile than its rival. Spotify requires users to download a desktop or mobile client to use. It’s clear that Microsoft is serious about transforming the Xbox into a full-fledged entertainment center. Woodstock would further bolster the system’s streaming capabilities that already include services like Netflix and Hulu Plus. Recent deals with Comcast and Verizon further strengthen the entertainment bundle. Despite showing the software at E3, The Verge doesn’t expect Microsoft to launch Woodstock until later this year to coincide with the release of Windows 8 and Windows Phone 8 devices. There is no word yet on how much the service might cost but we expect it to be in line with Spotify’s current asking price. Zune Pass subscribers will likely be able to keep their subscription or migrate to the new service, the publication says.